…be imitators of God, as beloved children; and walk in love, just as Christ also loved you and gave Himself up for us, an offering and a sacrifice to God as a fragrant aroma,~Ephesians 5:1-2. The only way we can imitate Christ is to abide in Him. It starts with relationship. We accept Jesus as our Lord and Savior. We are saved by faith, not works. So none can boast. Once we are saved, we begin this process of sanctification. God is working in us through the Holy Spirit to transform us into the image of His Son. God loves us as we are. He loves us too much to want to see us stay the same. I have met so many people who don’t know God’s love or they are opposed to knowing God. I asked God why? There’s head knowledge, yet for some not heart knowledge. BTW…I don’t have this love thing all figured out, it’s a journey. I am learning as I go; learning from Holy Spirit and intimacy with God. Tonight I will tackle just one potential answer. We (followers of Jesus) are called to demonstrate to the world the character and love of God. We are called to love everyone, not just those who love us, like us, agree with us, go to our church, come from our family, or are in our social circle. As stated in the word, God’s love (agape) and imitating Jesus comes through abiding (John 15:5). Jesus only did what He saw the Father doing. We are called to do what we see the Father doing; we are called to follow and abide in Jesus. If we don’t love the world, some may never know the Father’s heart. God works through people. Ordinary people like me and you are called to demonstrate to the world the great love and power of God. My earthly father made Jesus, following Jesus, very attractive. It’s one of the things that’s has helped me in my walk with Jesus. God gave me someone who demonstrated what He’s like. He’s not the only example, he’s one. He’s not perfect, yet I’ve learned so much from him. And his birthday is this week so honoring him. All I have belongs to God,~W. Lamb (my dad). If you ever meet my dad, he’ll probably offer you something. I’ve never met a more generous person outside of God. 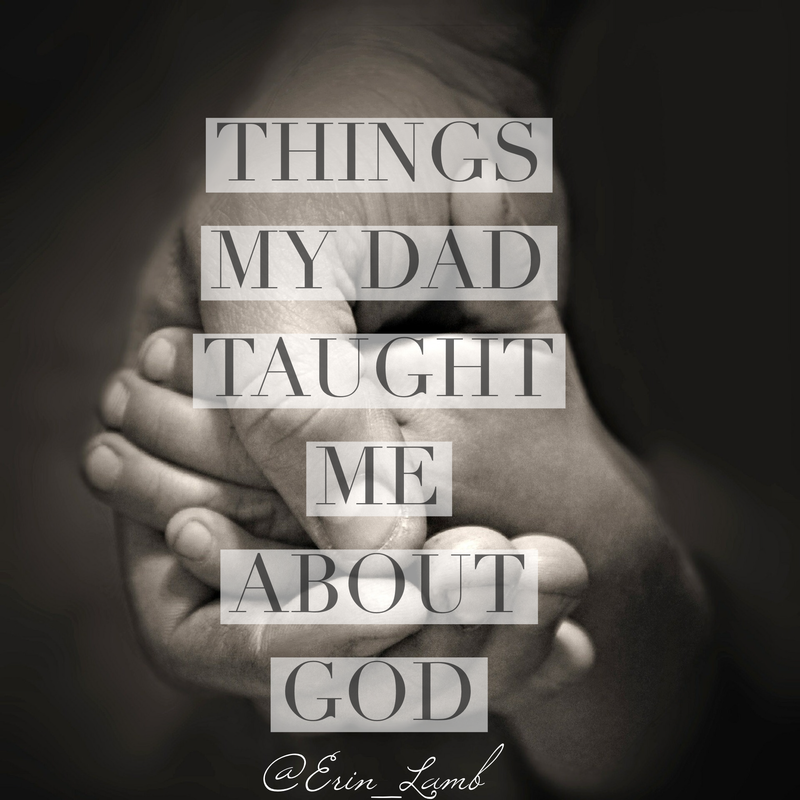 Here are some things he taught me about God by the way he lived and lives his life. 1. God is good and always worthy of worship (love, adoration, thanks, and praise). 2. Love strangers, they are people Jesus gave His life for. 3. Love and care for the poor and widows. 6. Do good to all because God is good to you. 10. Live a life of radical generosity. 11. It’s not about titles, money, fame, or clout…it’s about loving well. 12. Let God refine your character. 13. Trust God. He does not fail. 14. Leave situations you can’t solve in the hands of God. 16. Forgive! Forgive!! Forgive!!! No one is worth putting a wedge between you and God. 17. Pray…be a person of prayer. My dad rises early every day to pray and be with God. 18. Read and study the Bible. Be a person of the Word. 19. God still performs miracles! He’s a Healer, Deliverer, Restorer. 20. You can overcome the worst obstacles with God! Nothing is too hard for God. I don’t know about you, but I want people to see Jesus in me…Not so I’m glorified or people think well of me, so He’s glorified. Hopefully, I live a life so people have a growing hunger for God and knowing Him intimately. You and I have this awesome privilege of showing the world how AWESOME our heavenly Papa is. We are Ambassadors of hope, love, peace, and power. Some won’t know His love or power unless believers engage and choose to demonstrate it for them. May we know God intimately and show others how good He is. You are loved and continually prayed for! Father I ask for blessing on this dear one! Exceedingly great blessings! In Jesus powerful name!